I’m fairly sure that at some point in my childhood I’ve wondered what would happen if a gorilla was to escape captivity, but I know for a fact that my imagining wasn’t as brutal as Ape Out portrays. Devolver Digital’s overly violent imagining of a ravenous ape escaping is filled with more blood, explosions, and gunfire than a AAA blockbuster starring a man in a white tank top. It sounds simple enough when I say that Ape Out is a game about controlling an angry gorilla as it escapes captivity, but really, there’s so much more happening behind its simplicity that keeps you fixated on the game. 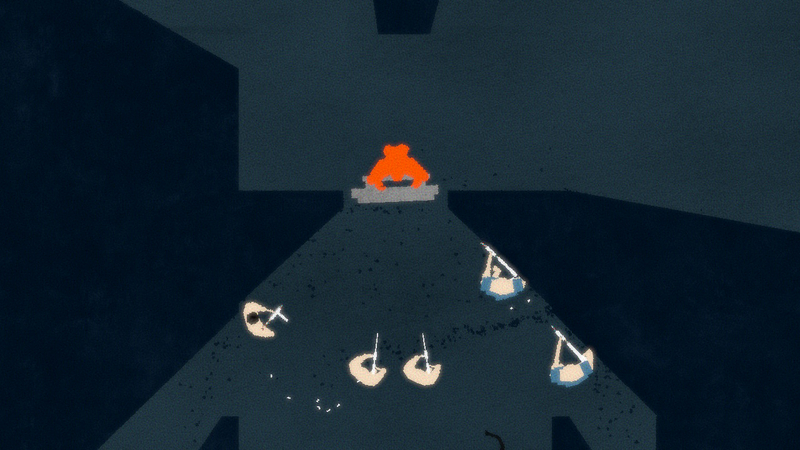 The mechanics of Ape Out keep you concentrated and constantly push you to play harder. Your own angry Harambe appears to find themselves in a number of scenarios, each one requiring you to brutally escape from captivity. These worlds are recognized as record albums with side A and side B signifying act 1 and act 2, essentially. Each act is loaded with various procedurally generated chapters that need completing until you reach the final level and achieve Ape Out. There are four stories to complete, one being set within a lab, one a skyscraper, the other a military camp in the jungle, and finally, one being set on a large ship. As you progress through the linear gameplay the enemies begin to introduce new weaponry and their numbers increase making the risk of death higher. Interestingly, while the enemies grow increasingly more complicated, your gorilla keeps the same simple skillset throughout the entirety of Ape Out. From the beginning, the tutorial is very minimal resulting in using only the analog sticks and the triggers shortly followed by common knowledge. Monkey grab, monkey smash, essentially. The controls are so streamlined that flowing from grabbing an enemy and lobbing them into a nearby wall to smashing your monkey fists into a nearby shotgunner is a pleasurable experience. While punching and throwing people might be fun, you can grab armed enemies and use them as a human shield, or just have them clumsily fire their weapon at the other enemies. 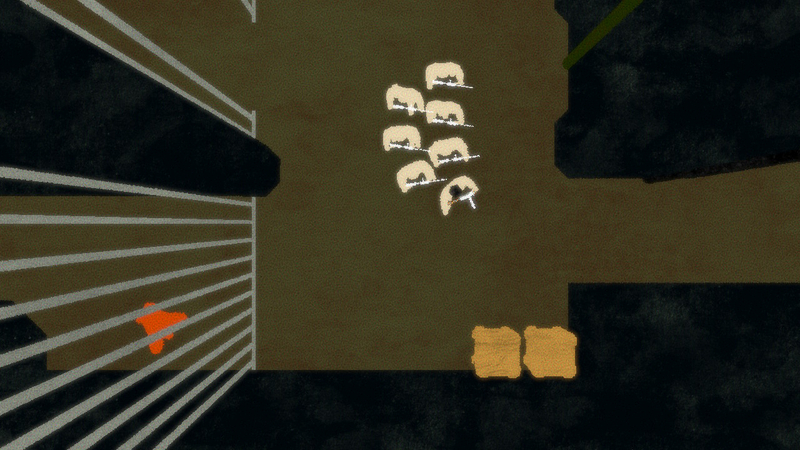 Weapons fire once automatically and immediately upon grabbing the enemy, so you need to be quick. As fun as the whole angry primate feeling comes across in Ape Out, I can’t help feeling that the animations are lacking. With attacks that occur so frequently, I’d have hoped to see some variations in throwing animations to make the combat less static. I’d also have liked to see objects in the world—mainly the explosive ones—capable of being picked up to cause more carnage. And as much as I enjoy throwing bodies against the wall causing them to explode into pulp, lining up an enemy to throw isn’t exactly precise, either. As such, a guide system could have been added to aid players. As for the art style, it’s something that really makes Ape Out stand out. The gorilla boasts a vibrant orange model making it the clear centerpiece. Enemies come in different sizes and armor types depending on their weapons allowing you to easily distinguish the puny pistol holders between the kitted out flamethrower baddies. Everything in Ape Out feels like trawling through a moving Olly Moss poster, and when changes occur, such as an alert, or a blackout, the entire color spectrum shifts. Visually, it’s fun to look at, but the audio also shines. Your violence towards the enemy determines the intensity of the music in Ape Out with more shoves and gunfire causing more upbeat tribal tunes. While it’s noticeable, it also has the magic of blending so well into your devastation that it can easily be mistaken for the actual soundtrack just playing out. It certainly keeps you pumped as you plow through the glass walls with a giant metal door. It’s no lie that Ape Out feels remarkably similar to Hotline Miami, the difference being that Hotline Miami has players going around small buildings with the goal to clear the level of enemies. Ape Out is a long run from point A to point B with no need to kill literally everyone in sight. However, encounters with enemies usually need to be dealt with using violence as enemies have a pretty good aim, so you need to rush to take them down. If you’re hit you’ll slowly start to leave a trail of blood. The more times you’re hit before death, the heavier the blood trail becomes giving you a visual representation of your health without needing to clutter your screen with a HUD. If you fail to make it to the checkpoint in which your health restores back to 100% you’ll have to start from the beginning again. 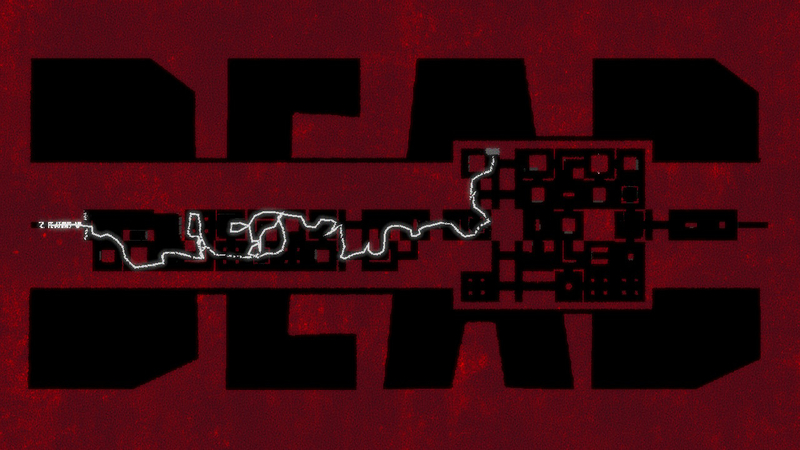 Respawning is fairly quick considering the procedurally generated room changes layouts with each death. 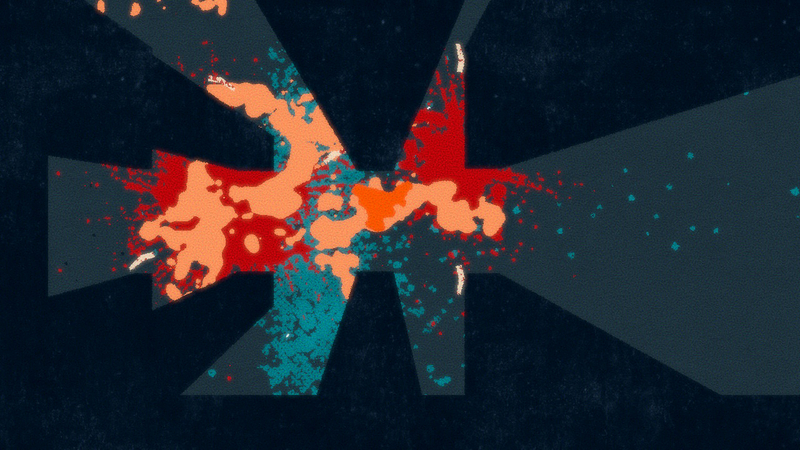 Ape Out does come with the risk of feeling short-lived. I managed to complete the main game in four hours. There is additional content, however, as each story invites you to try an arcade mode where you race against the clock to pass through the levels. Kills and time remaining are added onto the next level’s time. 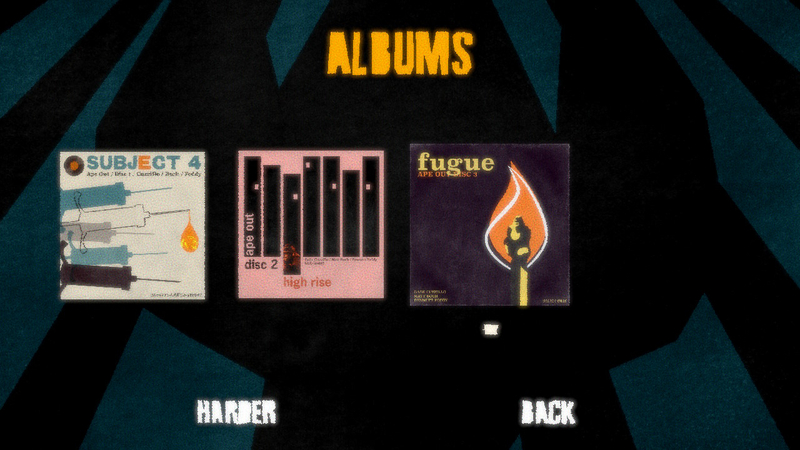 There’s also an even “harder” difficulty to give yourself even more of a challenge and it’s quite bananas. There is a bonus level available in which you change tactics and attempt to break back into the laboratory. Why? I’ll leave for you to experience it. The difference with this bonus level is that you have one shot, no checkpoints and you need to ensure you’ve wiped out…most of the enemies as you’ll be doubling back. I think I’ve put in an extra two hours and still can’t get past it. By the time you’ve seen this review, I hope I’ll have completed it with baggy eyes, heavy stubble, and drool stains streaking down my mouth from the sheer concentration needed. 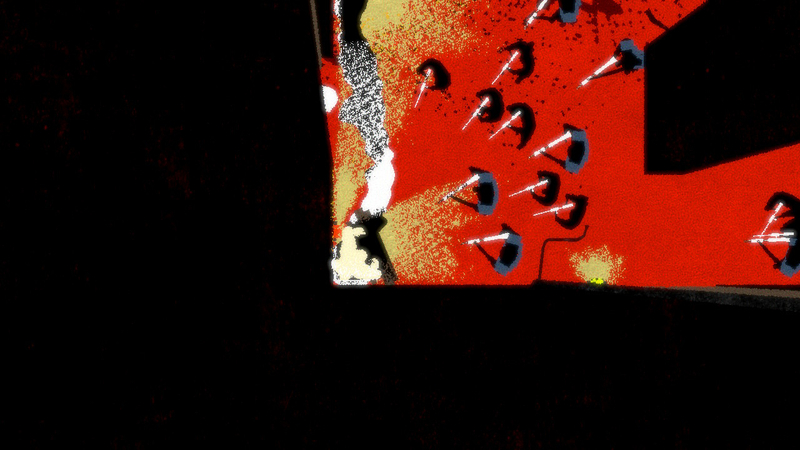 Ape Out on the Switch is a smooth experience both docked and undocked that feels meticulously created. While details such as blood and limbs do grow to look overused, the actual gameplay remains a solid and enjoyable experience that encourages you to keep on besting yourself. Still, I would like to see leaderboards incorporated at some point to see how you stack up against others. Perhaps personal stats would also work nicely, keeping a tally of how many enemies you’ve killed, deaths, and more. Ape Out is a great little gem and one that works great as a portable single-player game for when you want to kill time. Loading times are adequate and don’t keep you staring at your reflection for too long, and the art style and the music work together in harmony. If you’re not a fan of twin-stick titles and potential bursts of rage-quitting, then this might not be the game for you. But if you want to be a banana munching gorilla on a rampage, then Ape Out is right up your alley.